using the updated EvoControl app. now each vocal part has its own color of titles! 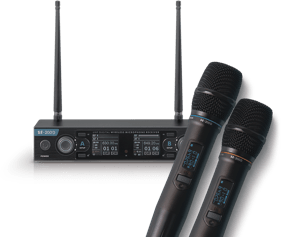 Karaoke kits from Studio Evolution. set of equipment for home karaoke. your karaoke party will turn into a real concert! acoustic equipment is now in your home! Excellent karaoke soundbar with powerful subwoofer! Special cost when buying sets. It consists of a karaoke soundbar, subwoofer and remote control. Perfect for homemade karaoke parties. Provide the purest sound of your voice without interference, work up to 9 hours and quickly charge through micro USB. Your voice will sound flawlessly, like at a concert! A lot of effects and impressive sounding karaoke tracks. 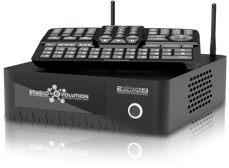 Karaoke systems by Studio Evolution are deserved leaders in the professional karaoke equipment market. The world’s best karaoke clubs have preferred our karaoke systems. Join the experts’ team. 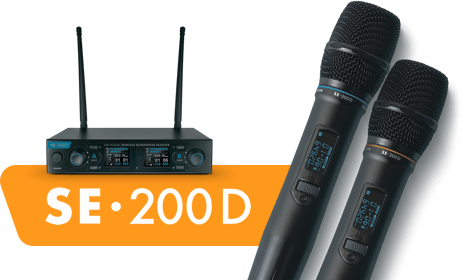 Exchange your karaoke system (Lite or Pro) for an Evolution Pro 2. 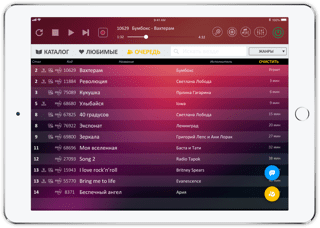 Gain access to the latest updates of the Song & Clip Catalogue, make use of the new unique range of functions. 12 updates of the Song & Clip Catalogue per year. Each update contains the most popular karaoke tracks. Regular update of the foreign karaoke database thanks to our partners. An impressive song database, a huge number of tracks created on the basis of original “minus 1” tracks, as well as thousands of original video clips that will make your performance the most spectacular.